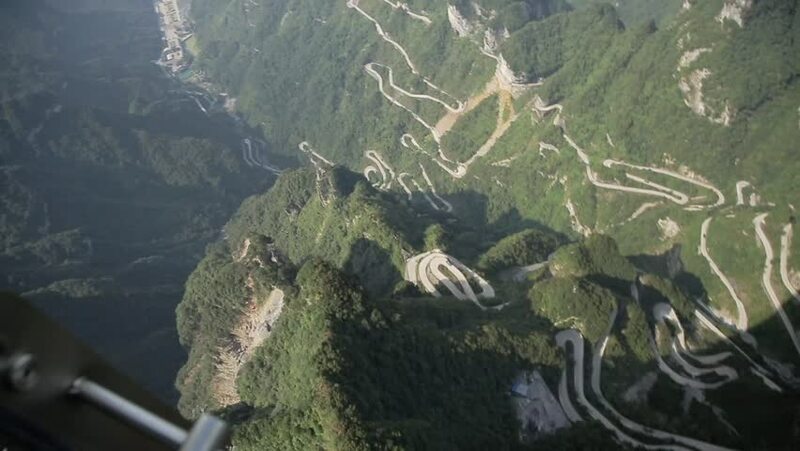 View of long windy 99 turn road going up to summit of Tianmen shan in the city of Zhangjiajie in Hunan province China on a sunny summer day. hd00:33Floating river bevore sunset. Idyllic scene and water sound. 4k00:17Aerial view of Bridal Veil Falls. Taken near Chilliwack, East of Vancouver, BC, Canada. hd00:09Small Waterfall In Norway. Graded and stabilized version. hd00:08A close up slow motion shot of a stream flowing in-between two rocks.